Mackenzie recently moved with her parents and she is assigned to a new spot where it’s crowded. She is thrown into some dangerous situations. Victoria doesn’t spare our main character from some beatings, but luckily she gets help from the boy in her building, Wesley. From the moment Mac meets him I was ready for the ship. They have this chemistry between them and I love Wesley’s personality. He is that type of laid-back person that can charm everyone with his easy talk. Not to forget the fact that he reminded me of Captain Hook from Once upon a time, because our lovely Wesley wears eyeliner. It was nice to see Mackenzie growing up through flashbacks. I liked her right away. Her no-nonsense way of thinking, the way she tried to deal with her grief and her parent’s sadness, the situation in her district; she got to me. I liked her pride and strength, but also her vulnerability around Wesley. The introduction of a somewhat love-triangle made me cringe a little, but at the same time I get where her feelings came from. The Archive sounds like an interesting place. You have to be quiet (you don’t want to wake up any Histories, do you?) and Mac’s visits are actually prohibited. One of her friend Librarian, Roland, is permitting her entrance and I liked their relationship. It’s clear he cares for her and I like that he always trusted her despite her young age. The plot in this book is based on a mystery behind the Histories and why they keep waking up. I actually saw most of it coming, but some twists were still cleverly found. Overall a fantastic story with a good writing-style that made me want more. Last summer, Mackenzie Bishop, a Keeper tasked with stopping violent Histories from escaping the Archive, almost lost her life to one. Now, as she starts her junior year at Hyde School, she's struggling to get her life back. But moving on isn't easy -- not when her dreams are haunted by what happened. She knows the past is past, knows it cannot hurt her, but it feels so real, and when her nightmares begin to creep into her waking hours, she starts to wonder if she's really safe.Meanwhile, people are vanishing without a trace, and the only thing they seem to have in common is Mackenzie. She's sure the Archive knows more than they are letting on, but before she can prove it, she becomes the prime suspect. And unless Mac can track down the real culprit, she'll lose everything, not only her role as Keeper, but her memories, and even her life. Can Mackenzie untangle the mystery before she herself unravels? This story picks up right after The archived. We get to see the aftermath of what happened and how it has damaged Mackenzie. Her nights are filled with nightmares and her normal - and Keeper life are starting to blend together. It is a mess and chaotic, but luckily she has Wesley and her supportive parents, although they have no idea what Mackenzie is hiding. She has a lot to endure and I loved how she kept fighting. Mackenzie has an iron spine and I admire the way she dealt with the situation. It was twisted and I started to fear for Mackenzie's health. I loved the conclusion and how it all wrapped up. Wesley is still a cutie, especially after reading from his POV in the novella Leave the window open. We get to see a different side of him and we learn more about his life. It is a perfect, healthy ship and I wish we got more of those. At first there was no sequel planned, but then the awesome news came: The returned. I can't wait! 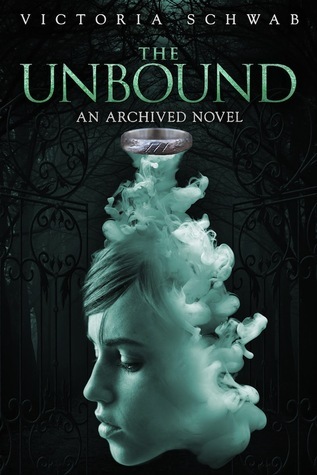 Have you read The archived and/or The unbound? What did you think? I absolutely adored the first book! I haven't been able to read the second one yet, but probably should. Do you feel as if I should re-read the first if I haven't read it for a few years before I get onto the second? Schwab seems to be more popular with her recent releases and Vicious, but this is so worth the read! You should give them a go, she is a really good writer. I read these two books because A. It's Schwab. B. It's Schwab and she's awesome. It's not a 5 star read for me, but both books had a lot of things to offer to the table, especially with its amazing, unique and imaginative premise. I had thought there was no longer going to be a sequel too but I'm glad we're getting a Book 3! The news about a third book is just recent, because at first there were indeed no plans for a sequel! I NEED to read this book! It sounds incredible! Defiantly adding it onto my list of books to buy! I also had The Archived on my TBR for awhile before I read it and I'm glad I did :) They are such easy books to get into and I love the ship in this series. I had no idea there was a third coming, that's great! I really need to read these books! I've heard nothing but good things from my friends, so I'm both excited and nervous to check it out. It sounds really good, and I'm glad to hear you enjoyed it! I cannot believe I still haven't read these books! I LOVED Vicious, and everyone is always going on about how amazing this series is, AND I own two copies (hardback and paperback). I have no excuse for not having read it! I'm so glad that you loved them, Mel! I trust your judgement on these things :D It sounds like such a unique premise, and Mac seems like she's going to be a really great character. And if Wesley is like Hook from OUAT, I will be completely smitten with his character for sure. I think you will like The Unbound a lot more ;) only Wesley time, haha. I so need to pick The Archived back up again. I tried reading it once and although I think the concept was so awesome, I really had trouble getting into the story. It just felt slow-paced for me. But I'm so happy to hear you enjoyed both books, Mel! Lovely review! I loved Vicious when I read it so of course I was interested in The Archived, particularly the whole absorbing people's memories thing when they die. It actually reminds me of Ink and Bone because of it's literary roots. Thanks for the review, I'm looking forward to reading it! I'm perpetually yearning for the third book in this trilogy! D: At least Victoria Schwab confirmed that it will be published, even if the details are beyond fuzzy. I loved the concept and the setting was so well built. I had trouble with the flashbacks at first because I'm not a fan of the style. I think that's why I preferred The Unbound since the flashbacks became less compared to The Archived. In any case, that concept? It's beyond fascinating and is the reason why I push The Archived onto people, even if I didn't give it 5 stars. Yes, I'm so happy she finally confirmed it! i've had my eyes on this series FOR SO LONG.. but when i found out hyperion didn't pick up the third book.. i couldn't pick it up especially since the second book doesn't really wrap up the story.. i'm so glad The Returned is an actual thing and hopefully next year it'll get published. I'm glad you enjoyed both books and Mackenzie is a very level headed and smart girl.